Rain at 4am but nothing major. Children had lovely fish and chips supper after football and netball yesterday. Mr Powell has made some wonderful meals. Children have eaten very well – nothing left over! Children had lie in this morning while the odd shower passed. 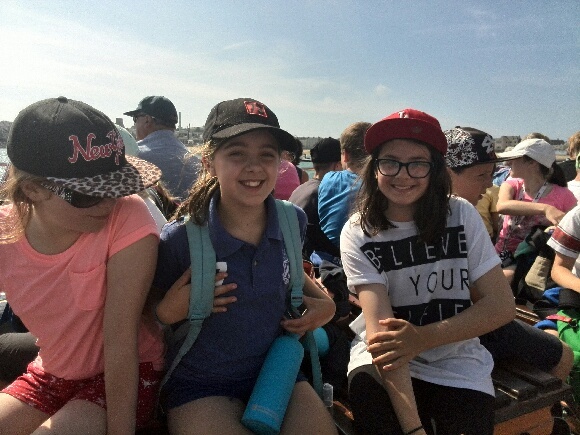 Sun came out for boat trip to st Martin’s. 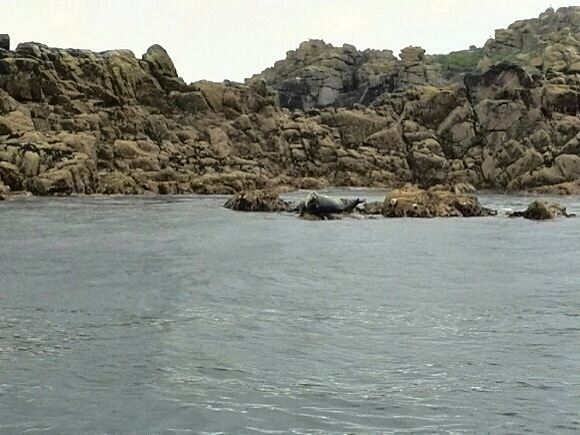 Saw puffins, porpoises and seals. 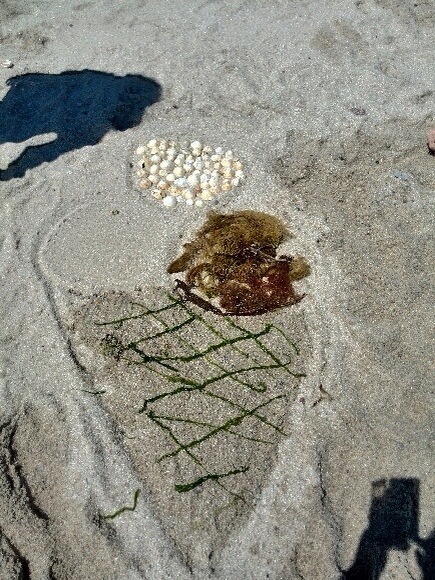 Now on St Martin’s beach making sand sculptures in glorious heat/sunshine. 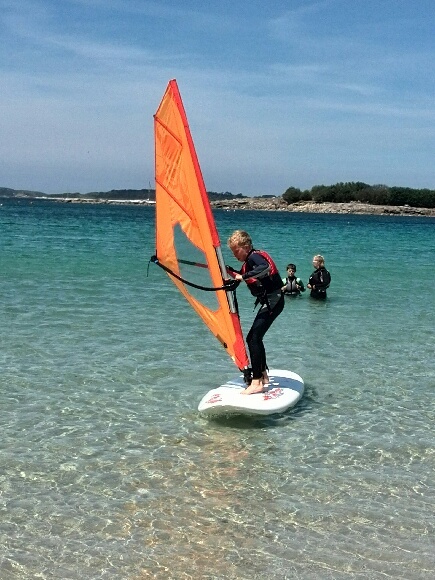 This entry was posted in Uncategorized, Year 6 Scillies on June 26, 2014 by bosvigo. 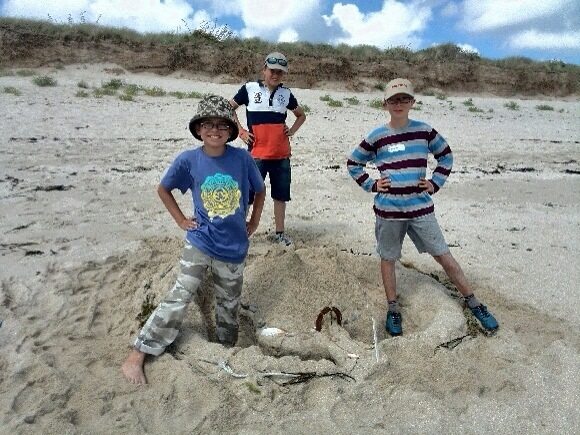 Good news – the phone signal on Tresco is better than St Mary’s, so the Scillies group have been able to share some photos of their week so far. 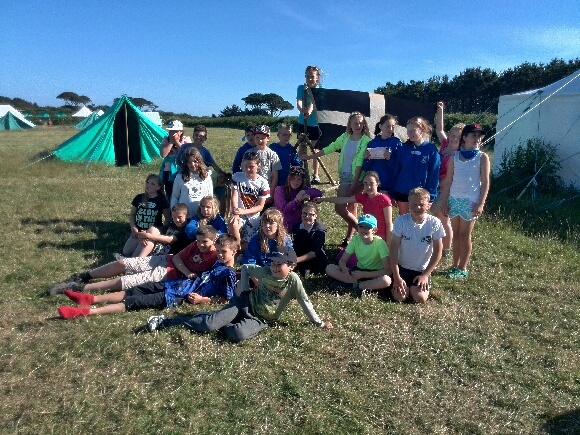 The group are enjoying some of the best weather we have ever seen on a Scillies camp and are having a wonderful time. 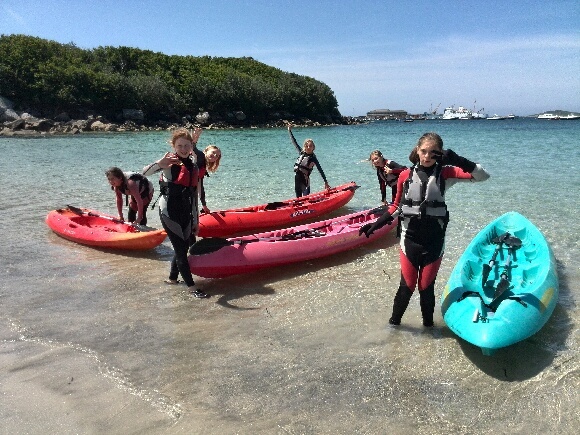 Yesterday they spent time learning different watersports and today they have taken the boat over to Tresco, where they are exploring the beautiful gardens (with the children navigating) and relaxing on the beaches. 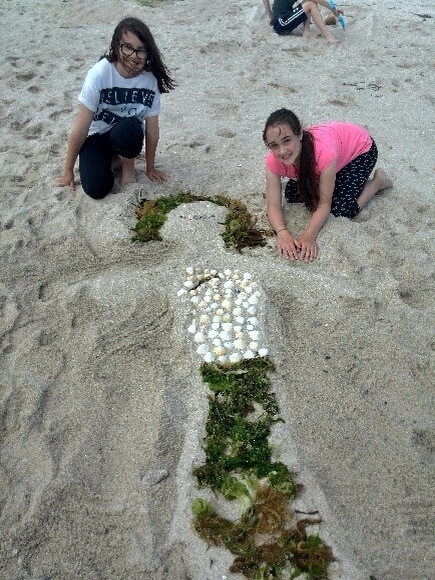 This entry was posted in Uncategorized, Year 6 Scillies on June 25, 2014 by bosvigo. Newsflash… as if the week we’ve had wasn’t perfect enough, we have just had a pod of about 15 dolphins swim alongside the boat. Surprised you couldn’t hear the oohs and aahs all the way up in Truro! This entry was posted in Camps, Uncategorized, Year 6 Scillies on July 1, 2011 by bosvigo. Good afternoon from the deck. All present and correct you will be pleased to here. 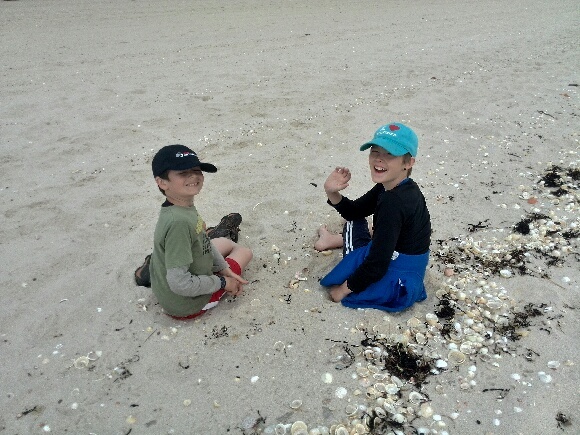 A wonderful lunch on the beach after a game of cricket and sand sculpting. A slow jaunt through to town for last minute frantic spending. We have all had an absolutely fantastic time and look like we have been in the med for two weeks, and no it’s not dirt… See you all this evening. You should all be extremely proud of your children and the way they have conducted theirselves. We have had so many compliments. 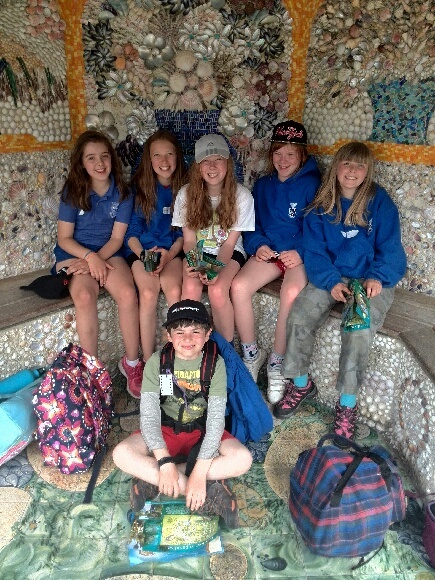 Well done year six. We shall miss you all wben you move on and thank you all for being such amazing campers. This entry was posted in Camps, Uncategorized, Year 6 Scillies on June 30, 2011 by bosvigo. A couple more pictures have made their way over from the Scillies, but as yet no information on Walkers of the Week or the mystery gift… we’ll just have to wait until tomorrow morning! Good Morning from the Scillies. All well and happy. Just boarded the boat bound for Tresco. We are away to clean the beach in anticipation of receiving a gift for a job well done… All will be revealed! We are lunching in the gardens of Tresco dreckly. We are soon to blog our Walkers of the Week award… We have just sailed by the good ship Matthew. An amazing sight. This entry was posted in Camps, Uncategorized, Year 6 Scillies on June 29, 2011 by bosvigo. Good morning. All well and at the beach for a morning of watersports. 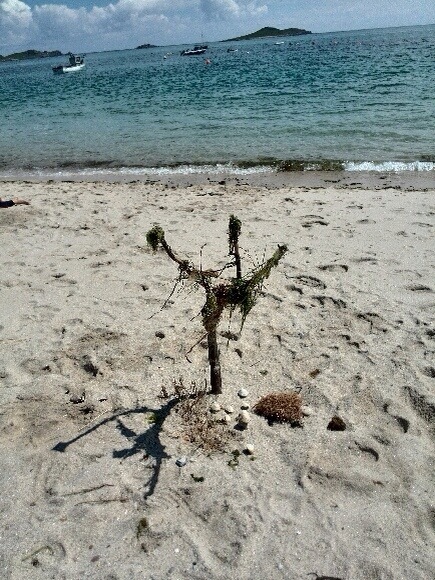 Off to the beach for lunch then up to the garrison for THE FOOTBALL TOURNAMENT.. go BOSVIGO. We are well fed after our lush cooked breakfast.. Thanx Mr P. Fish n chips tonite so Mr P gets a rest from duties. We have a hard life…. Sun IS shining..